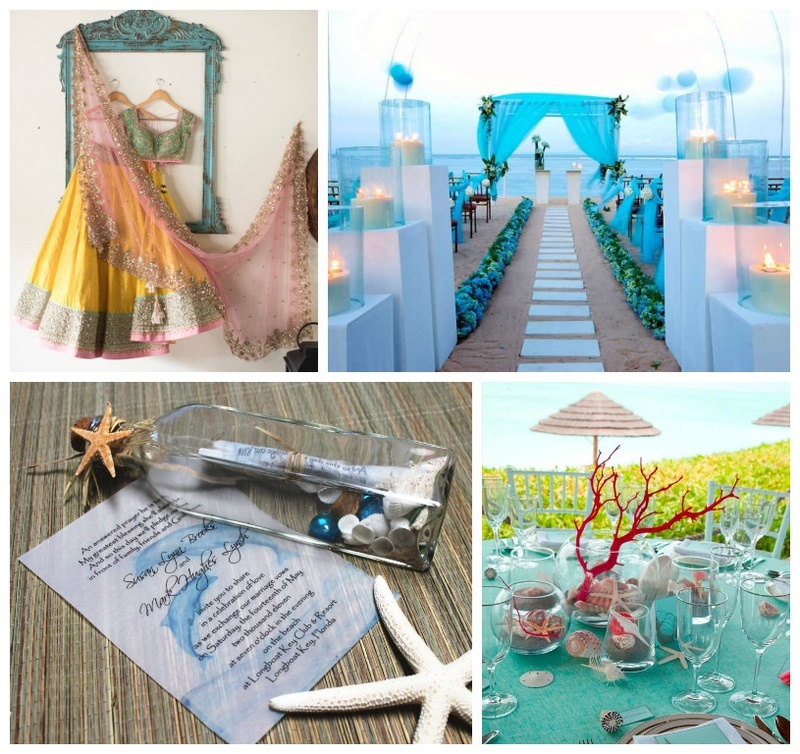 Top Trending Ideas on How to Plan the Ideal Indian Beach Wedding. When it comes to planning an outdoor destination wedding, picking a venue and setting a theme, the beach seems to be every fun couple’s go to. Of course, Indian wedding ideas have a ginormous number of options to pick from, but hey, why would you bother? It’s the beach! Now décor ideas and the sorts may not be as simple to get done as a regular wedding but that just makes it all the more memorable. And having picture-perfect memories of one of the most-cherished days of your life does seem like a good idea, right? Plus hey, it’s us. Of COURSE, we’ve already done our fair bit of fabulous research and have some brilliant beach wedding ideas up our sleeve that we’re more than willing to share with you! So sit back, relax and keep scrolling. Because we promise you, with these tips, your destination beach wedding is going to be lit!